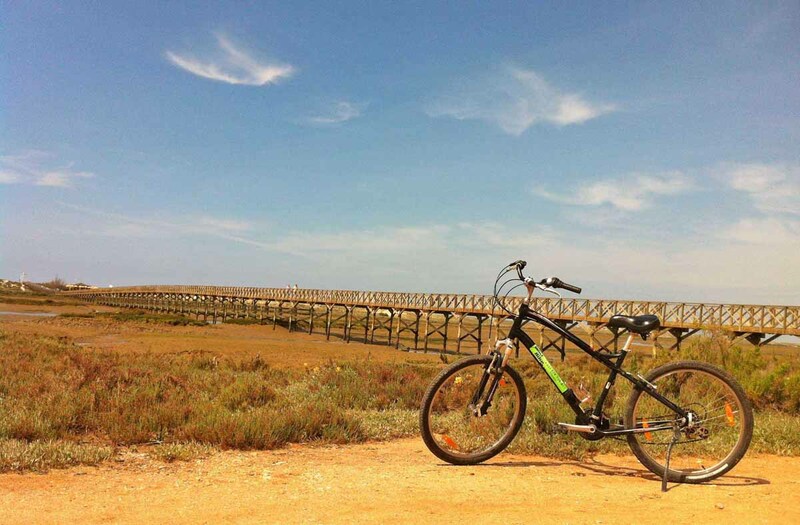 One of the best things that you can do is biking in the Algarve. The beautiful region and coast is perfect to explore by bicycle and is fun for both beginners and professionals. Especially in the hills of the Algarve, seasoned cyclists will find great challenge, as there is plenty of elevation. Unique about the Algarve is the Ecovia. The Ecovia is a special track for bikes. This off road track takes you right in the heart of nature. Do you like taking Bike Tours on your holiday, but you do not wish to bring your own bike? Then you can rent one online at Abilio Bikes Shop & Rentals. 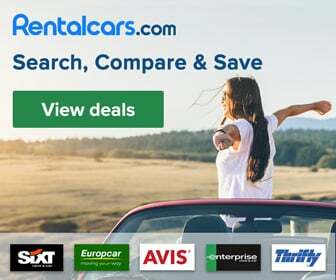 This rental place is located in Tavira, but they can deliver the bikes in any location in the Algarve. 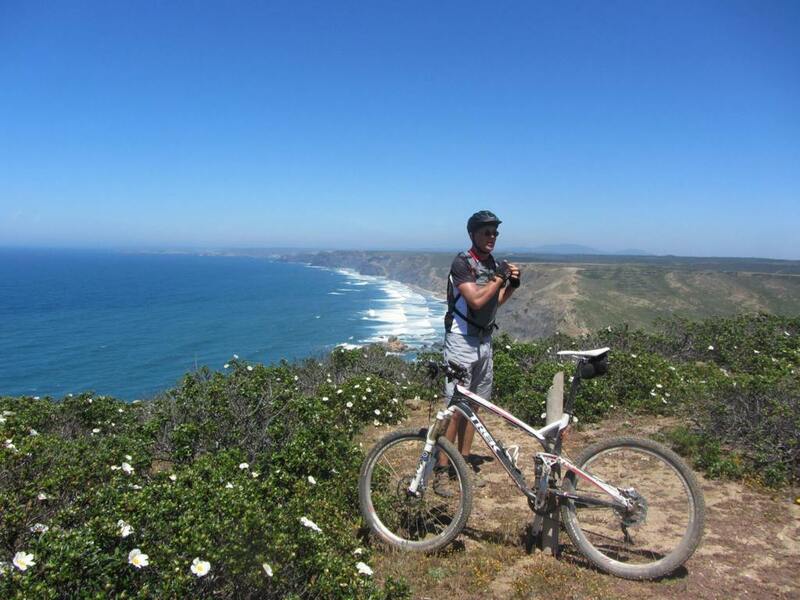 It is also possible to book Guided Bike Tours in many places in the Algarve. The Algarvian coastline stretches over a distance of around 165 kilometers. During this distance you will find a varied scenery and diverse flora and fauna. Below we will give you an impression of what it is like to go biking in the Algarve and what you can expect while cycling from East to West, riding the Ecovia Litoral. Begin your journey in the far East of the Algarve, in a town called Vila Real de Santo António. Vila Real de Santo António is situated on a river that divides the Algarve from Spain. From the start of the Ecovia you will continue your trip to beautiful small villages, such as Altura and the spectacular Cacela Velha. This town offers the best view over the Ria Formosa Natural Park. Move ahead to Cabanas de Tavira crossing the salt pans, and finally arrive in Tavira for an exquisite lunch. After Tavira you will reach the fishermen town of Santa Luzia and you will find yourself in one the most beautiful Ecovia tracks of the Algarve. This is why you chose to go biking in the Algarve. From here you are heading to the towns of Torre de Aires and Olhão. Next stop is the capital of the Algarve: Faro. In this historical city there are still Roman and Arab ruins to be found. The beach of Faro connects to the mainland via a narrow bridge. On one side of the island there is the sea and on the other side of the island is the natural park of Ria Formosa. Leaving Faro, you wil see the landscape changing as you ride off to the West of the Algarve. From here on, the beaches are decorated by impressive steep cliffs. Marvel at the rock formations near the beaches of Falésia, Olhos de Agua, Balaia, and notice how different they are from the beaches in the East of the Algarve. If you wish to check your bike by now, go to Fun Bikes Shop Algarve in the city of Quarteira. After Quarteira, you might like to have a stop in Albufeira. This popular touristic town is full of restaurants, clubs and bars, giving you lots of energy from the crowd. Next stop: Portimão. The roads are not bad, but the signs of the Ecovia need improvement, and it is possible that you might get lost on some roads. In Portimão there is another good bike shop where you can check your bike, called Onebike. The staff here knows a lot about secret bike tracks in the region. Continuing your journey, you will arrive in the popular city of Lagos. This region is known for its spectacular turquoise waters and breathtaking caves. After a good 30 kilometers you will find yourself in the remarkable town of Sagres. After Sagres, it takes you only 6 kilometers towards your final destination: Cape St. Vincent. You have now arrived at the most South-Western part of Europe. The impressive cliffs rise about 75 metres vertically above the Atlantic Ocean. The sea here is extremely ferocious, due to the strong winds. It was also here where the old explorers would stand on the last piece of land, before they would set sail for the unknown. At Cape St. Vincent you will find the most powerful lighthouse of continental Europe. Its light reaches 60 kilometers away. The Algarve is a fantastich holiday destination all year round. For cyclists, the best experience is off peak summer season. In July and August it can get too hot for cycling, and the Algarve will be packed with tourists during these two months. In the other ten months you will be very pleased with the mild temperatures and sun hours. Biking in the Algarve is a surprising journey through beautiful landscapes and precious coastal villages. Bicycle lovers will find that the Algarve is the ultimate destination to explore on two wheels.